As states begin thinking about how they will comply with the EPA’s Clean Power Plan, energy efficiency should receive considerable attention as one of the most effective options. 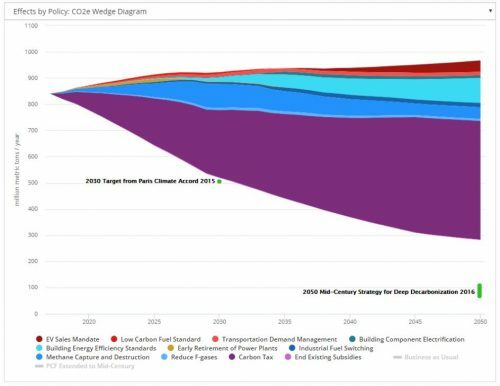 Demand response technologies, which range from smart thermostats and water heaters in homes to sophisticated industrial systems, aren’t discussed as often as renewables or conventional fossil fuel technology, but they will be critical for the future of our electricity system. The way in which new cities are built will drastically determine whether they contribute to the reversal – or acceleration – of climate change. Proper design of urban form and transportation systems, especially in China, will be crucial for getting these cities right. A new Energy Innovation report, Cities for People in Practice, compares three sustainably developed communities that offer successful examples of the “cities for people” approach to urban development. By emphasizing public transit, walkability, and bicycling, these neighborhoods provide increased mobility and a higher quality of life for residents and visitors, but development costs have been comparable to traditional neighborhoods. In an article for China Daily, Hal Harvey explains the importance of building codes for winning both the air quality and pollution battles in China. Building codes can help combat climate change. International experience suggests that carefully designed standards and pollution control strategies, if properly enforced, can make an enormous difference to air pollution and help with climate change. In light of the recent U.S.-China pledges to reduce greenhouse gas emissions, it is clearer than ever that China is committed to achieving a low-carbon electricity system and benefiting from a cleaner environment to boost economic development. But is this technically feasible in the world’s largest energy economy? The Prize for Cities of the Future is given each year to a municipal project in China that demonstrates a “creative, effective, and scalable solution” to sustainable urban development challenges. Today’s urban planning decisions in China will carry huge consequences for how its cities develop for decades to come. These cities need smart, coherent strategies for development that make urban spaces livable, prosperous, and sustainable.